Members of the Friends of the Mohawk-Hudson Bike-Hike Trail have been caring for their section of the Erie Canalway Trail for decades. 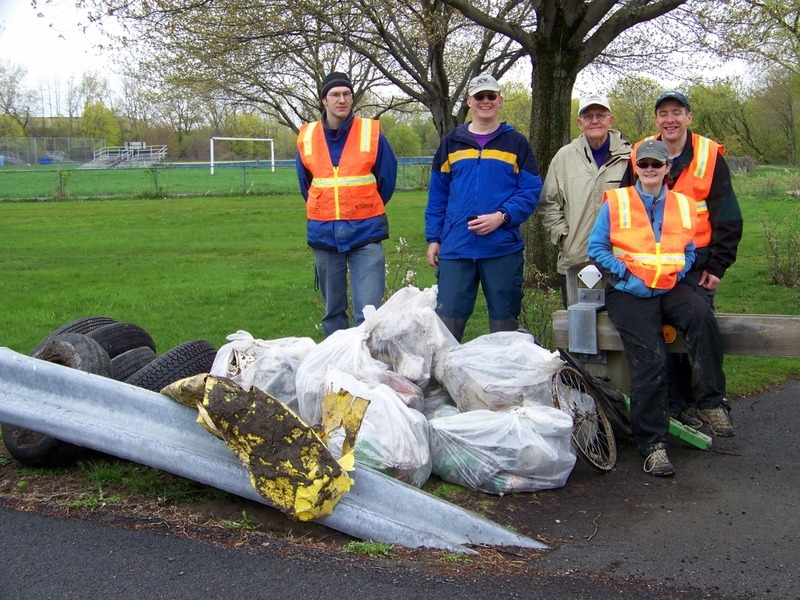 Before they formed as the Friends in 2000, many of today’s members assisted the Schenectady Chapter of the Adirondack Mountain Club with clean up and beautification along the City of Schenectady section of trail as part of National Trails Day celebrations. “Over the years, members of the Friends of the Mohawk-Hudson Bike-Hike Trail have been instrumental in advocating for maintenance and improvements along the trail,” said current Friends president Gillian Scott. The group’s many activities reflect its broad mission to develop the historical, recreational and economic opportunities of the Mohawk-Hudson Bike-Hike Trail through stewardship and public education. In addition to its long-standing participation as Canalway Trail adopters, the Friends helped Parks & Trails New York and the New York State Canal Corporation initiate the Canalway Trail Ambassador Program in 2008. Twelve Friends members now serve as Ambassadors on the trail in the Schenectady area, devoting thousands of hours to ensuring that all trail users have a safe and enjoyable experience. Each year the Friends coordinate the Cycling the Erie Canal bike tour in the Schenectady-Albany area by volunteering time for route planning, route marking, and giving directions. The group has also worked with Union College to restore historic lock 23 in Rotterdam, helped with the annual Canalway Trail user count, and established a partnership with Eastern Mountain Sports to support trail improvements. Presently, the Friends are involved in the planning process for a new section of trail slated to be built along the Mohawk River at the old Alco plant on Schenectady’s Erie Boulevard. “Though the trail is considered largely complete in the Capital Region, there is always more work to be done. Besides our regular trail cleanup work, we are also currently advocating for safety improvements to trail barriers and road crossings. Founding member Fred Thompson joined the Route5S Traffic Study to bring focus to safety issues a the road-trail intersection near Rotterdam Junction where some safety improvements are now planned,” said Scott. Throughout the 524-mile Canalway Trail System, Adopt-a-Trail program volunteers tackle many types of maintenance tasks such as picking up litter, mowing, trimming brush, removing fallen branches, raking and patching the trail surface, maintaining signs, painting, and landscaping. There are many sections of the Canalway Trail still in need of maintainers. Check out the maps that show areas of the trail needing adoption. Anyone interested in participating in the Adopt-A-Trail program should contact Parks & Trails New York at jmeerdink@ptny.org or 518-434-1583.